Nick Bostrom is Professor in the Faculty of Philosophy at Oxford University and founding Director of the Future of Humanity Institute and of the Programme on the Impacts of Future Technology within the Oxford Martin School. 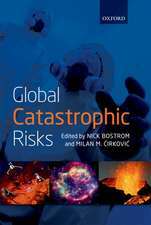 He is the author of some 200 publications, including Anthropic Bias (Routledge, 2002), Global Catastrophic Risks (Ed., OUP, 2008), and Human Enhancement (Ed., OUP, 2009). He previously taught at Yale, and he was a Postdoctoral Fellow of the British Academy. 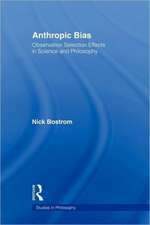 Bostrom has a background in physics, computational neuroscience, and mathematical logic as well as philosophy. Editat de Julian Savulescu et al. Editat de Nick Bostrom et al. De (autor) Nick Bostrom et al. R. Michael Perry et al. De (autor) R. C. W. Ettinger et al. De (autor) Markus Christen et al.